This strainer works with my Highpoint apron front sink I ordered from Overstock. I originally ordered a different drain that was for a garbage disposal and returned it for this item. The sink and the strainer both are in my laundry room and I could not be more happy with it. Looks great and does what it is suppose to do. 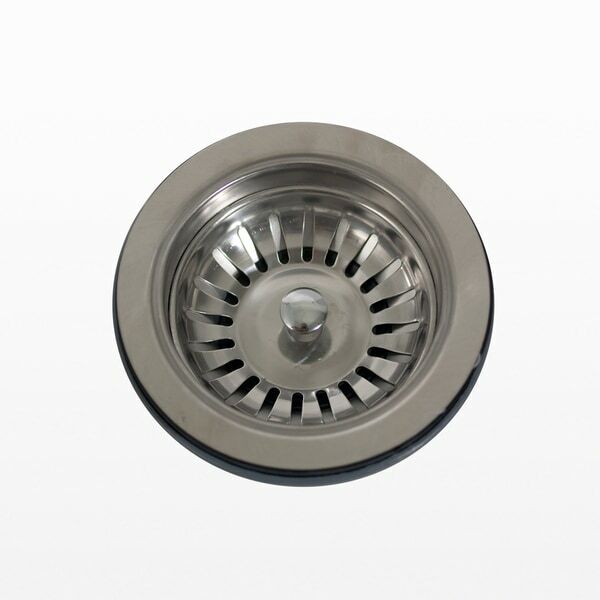 Stainless Steel Sink Drain expecially for fireclay sinks. This drain has and extra long screw that allows it to be used with fireclay sinks whose basins are thicker than other types of kitchen sinks. All the functionality and the reach that you need to complete the look of your fireclay sink. Width fits standard 3.5-inch kitchen sink drain opening.